Inspire Support can provide one on one support to assist participants to achieve their individual Accommodation and Tenancy goals such as assisting participants to overcome barriers that impact a current tenancy or supporting participants to explore and obtain alternative housing. Our Accommodation and Tenancy service can include assessment, individual case planning, practical one on one assistance, liaising with service providers and capacity building assistance to support people to achieve their individual goals. 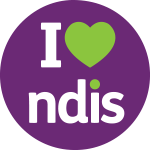 Accommodation and Tenancy Support can be funded from Core Supports in a participant’s approved NDIS Plan.